An ancient Icelandic farm dwelling. These houses were built by erecting a wooden frame and attaching wooden walls. On the exterior was another frame with turves attached. The two walls were not to come into contact with each other in order to keep the interior wooden wall dry. In other words - a cavity wall. 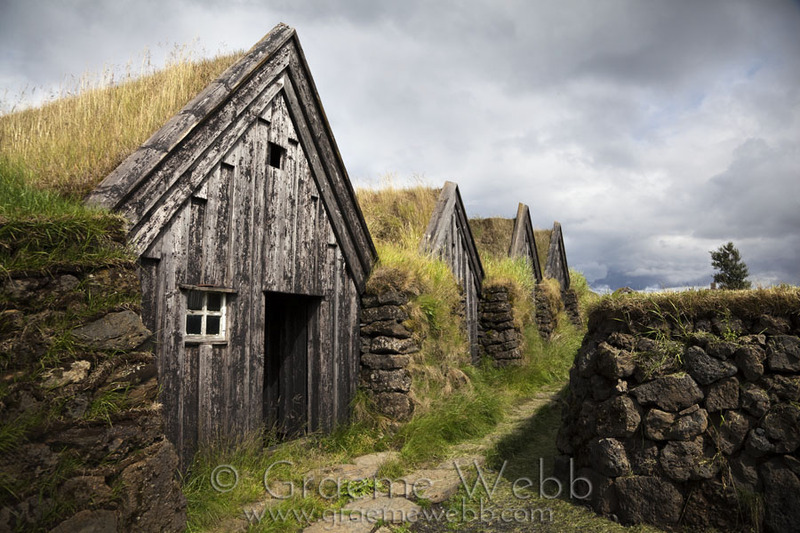 With turves on the roof, these houses were well insulated against the Icelandic cold.